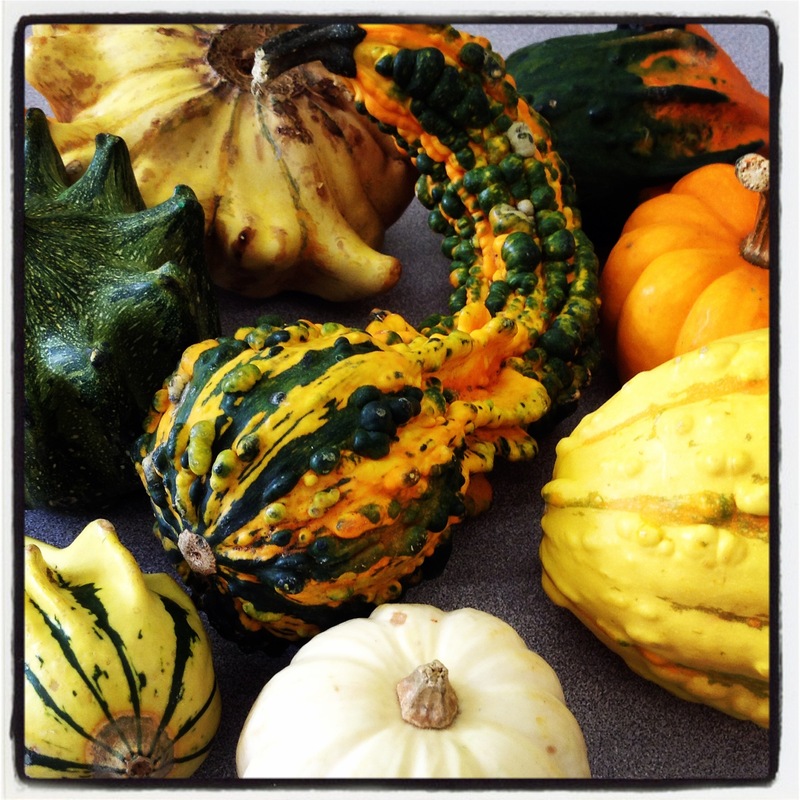 When Fall begins in Toronto, the pumpkins begin to show. I like the look of the small decorative pumpkins and I knew my students would as well. I bought a few at the grocery store with the intention of doing some sort of activity with them. I decided to introduce them to the concept of Still Life. I showed them some of the paintings created by the Masters, and some that had been created by modern artists. I then asked them to create their own Still Life of the pumpkins using the medium of coloured pencils. I colour in between the lines. I am satisfied with my drawing. The next step in the Still Life activity was for the children to re-create their own Still Life using the medium of oil pastels. 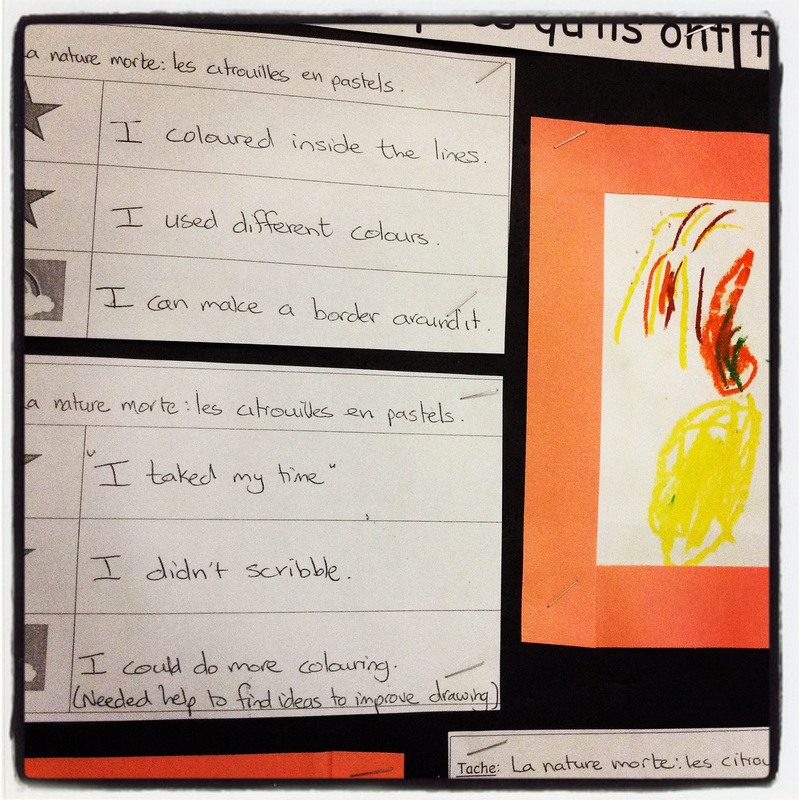 An improvement was seen in the drawings as the children focused on the criteria that would make their work successful. Once their work was done, I had an one-on-one consultation with each child to discuss their success with the task. The children took note of two of the things they done successfully – and one thing they could do to improve the product of their work. I scribed for them and pasted the result of our discussion at the back of their work for their parents to read. Then the real fun began: the painting of their Still Life. The result is an array of beautiful, well thought out paintings that the children are proud of. 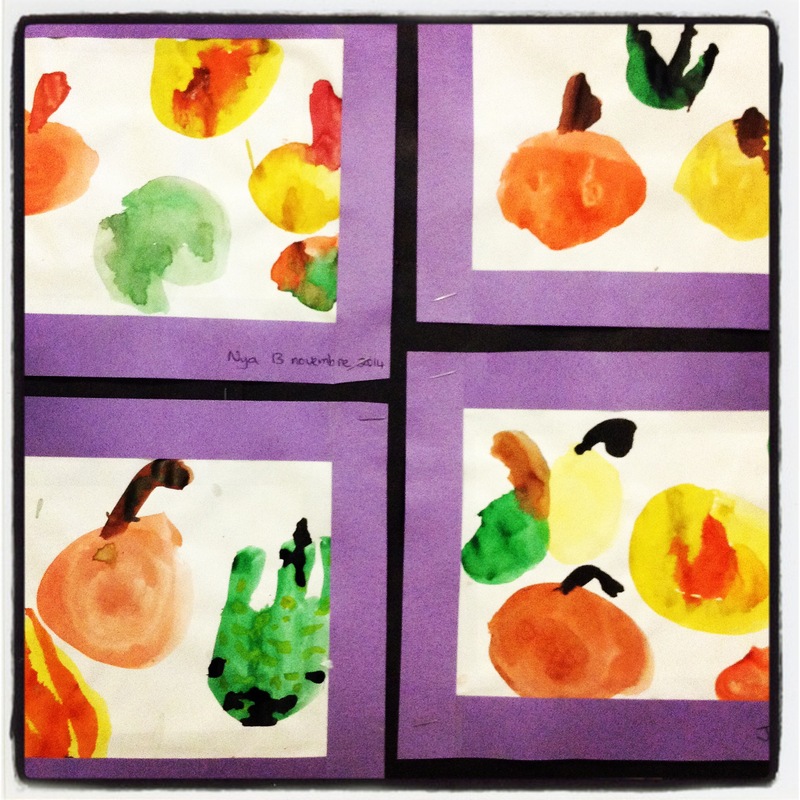 The bulletin board outside my classroom now shows the children’s progress through the Still Life activity. 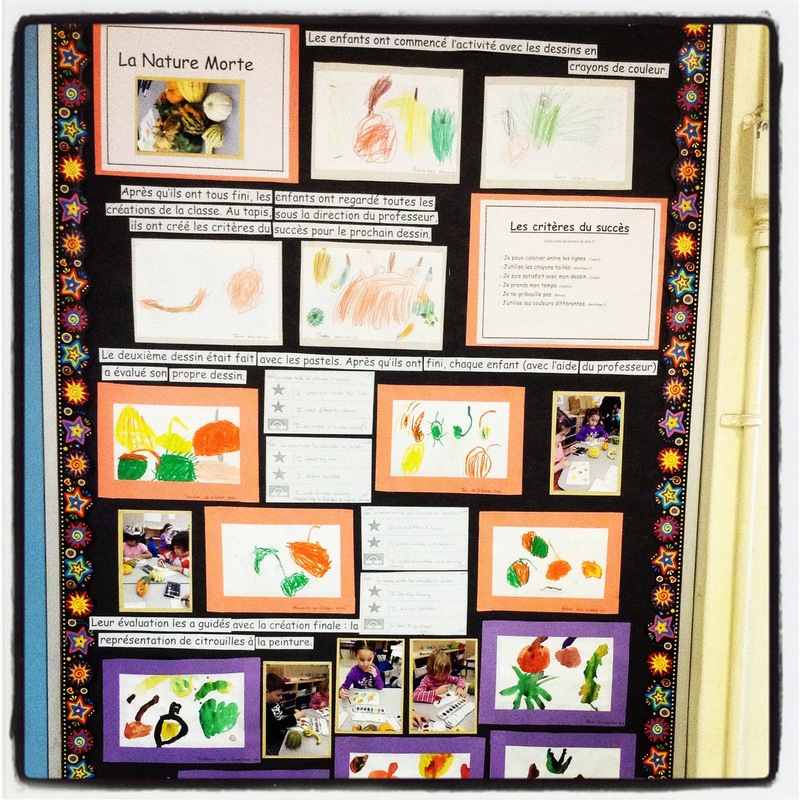 Some examples of student’s work is displayed for the parents to look at. The completed works of art will be placed in each child’s portfolio which will be sent home at the end of the year for both the children and parents to admire for many years. 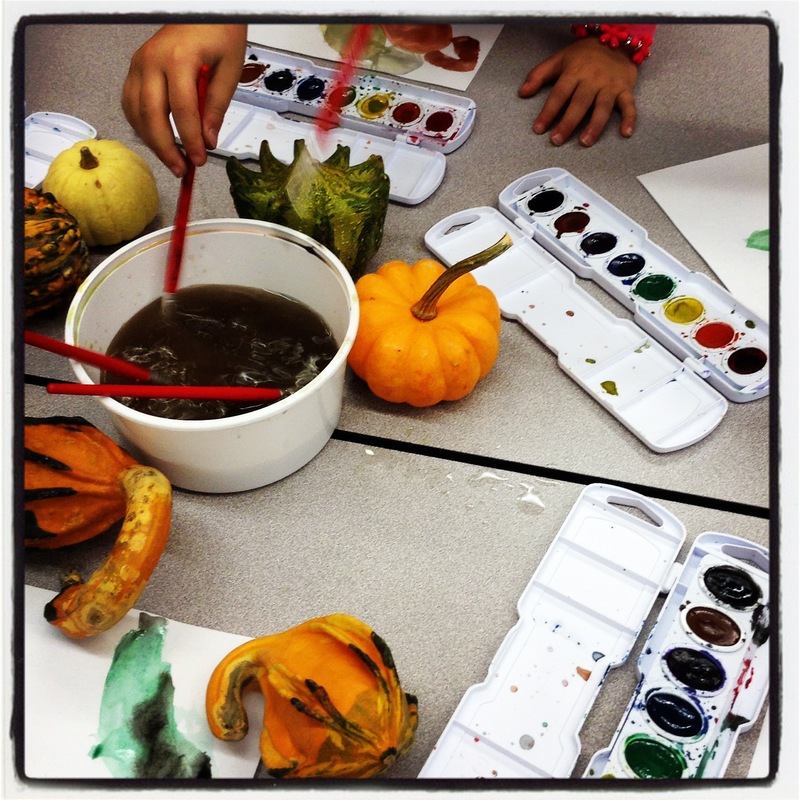 Do you create Still Life paintings? Your Still Life photos are beautiful Paula – and I always enjoy looking at them. Beautiful! I love their water color paints. I forgot to mention that we had done some practice painting with water colour before this activity. As a result, the were using he right amount of paint with water – and they were in the habit of cleaning their brush before changing colour. An involved exercise Colline, what a lot of thought you put into it all . I like the line … ‘Then the real fun began …. ‘ I bet it did … and their paintings are colourful and lively too . Thank you for sharing the process that led to such wonderful finished works that will indeed be treasured by parents then child for many years to come. I hope that they will be. He children are proud of their work – and they should be as their worked hard on their creations. Glad you enjoyed the art Michelle. 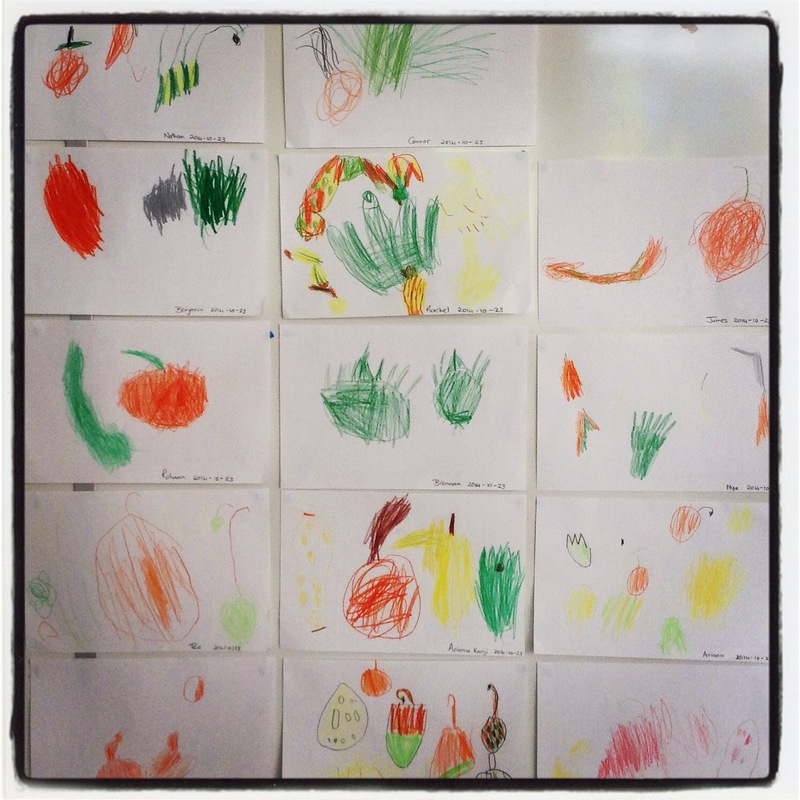 I love the paintings the children did – so bright and cheerful. Once again you seem to have created a lesson that has inspired both creativity and their imagination. As to your question – I think still life photos and paintings work best when the objects are purposely positioned. Beautiful idea Colline, there is always creativity in your ideas, ideas that the children love and embrace, which forms their constructive imaginations. Well done and great results. That is what I love about teaching young children Ian – I can allow my imagination to run freely. Colline, I love how you and your students have so much fun while learning. They are very fortunate children. When my children brought things home that they had made in school, we chose something they were really proud of and framed it and hung it in our entry hall. I loved looking at their “mini” art gallery. That is such a good idea. Now that my daughters are taking their art seriously, I may have to start doing this!